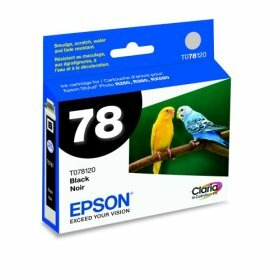 Genuine Epson T078120 Black Ink Cartridge for Epson Stylus Photo R260/R380 printers. Genuine Epson T078220 Cyan Ink Cartridge for Epson Stylus Photo R260/R380 printers. 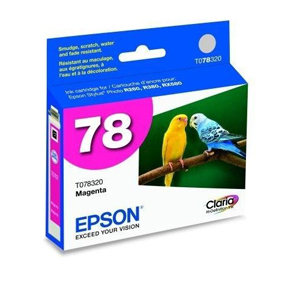 Genuine Epson T078320 Magenta Ink Cartridge for Epson Stylus Photo R260/R380 printers. Genuine Epson T078420 Yellow Ink Cartridge for Epson Stylus Photo R260/R380 printers. 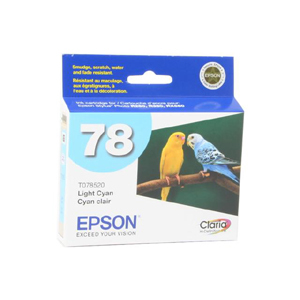 Genuine Epson T078520 Light Cyan Ink Cartridge for Epson Stylus Photo R260/R380 printers. Genuine Epson T078620 Light Magenta Ink Cartridge for Epson Stylus Photo R260/R380 printers.